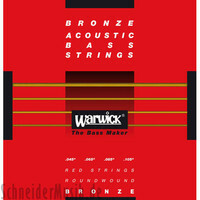 Set of four bronze bass strings for acoustic bass; medium scale round wound. Well-balanced and melodic with a warm and vocal sound. The Rockbass Standard Streamer from Warwick offers powerfully deep tones with thundering lows and articulate highs thanks to its Carolena body and Maple neck. 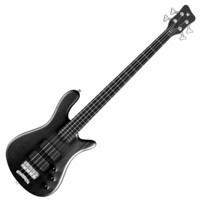 Possessing passive MEC vintage humbuckers and passive Rockbass electronics to deliver a dynamic sound the 5 string Warwick Streamer provides a quality built bass guitar thats excellent for any aspiring bassist. Boasting a neck-through design this Corvette $$ Bunbinga has a natural oil finish Wenge fingerboard and Maple neck (Three layers). 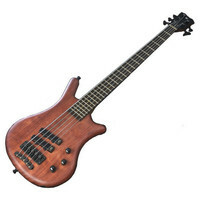 Featuring a Bubinga Body Wenge neck Wenge Fingerboard Active MEC J/J pickups and Natural Oil finish the Warwick Thumb Bolt-On 5-String Bass is an impressively designed bass guitar. 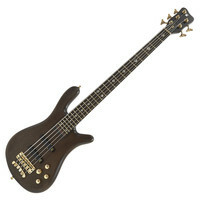 The Warwick Rockbass Streamer Standard 4 String Fretless Bass Guitar features top quality components and comes at an affordable price making it great for both beginners and advanced bassists alike. 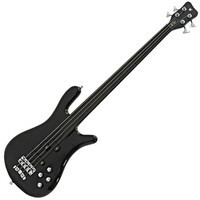 Using the Warwick 2-piece bridge and Just-a-Nut lll string nut you can achieve optimum intonation in a matter of seconds whilst the black colored oil finish carolena body bolt-on Maple neck with a tigerstripe ebony fingerboard and fretless neck allow for a versatile and fantastic sounding bass guitar. The Rockbass Standard Streamer Bass from Warwick offers powerfully deep tones with thundering lows and articulate highs thanks to its Carolena body and Maple neck. Possessing passive MEC vintage humbuckers and passive Rockbass electronics to deliver a dynamic sound the Warwick Streamer Standard provides a quality built bass guitar thats excellent for any aspiring bassist. 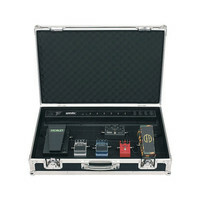 The Warwick Rockcase Gigboard Flight Case features an internal power supply and removable gigboard. 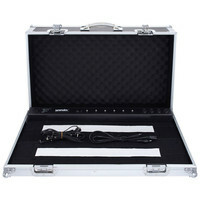 The Flight Case has foam padding and lined edges with rugged protective elements such as chrome plated butterfly locks and ball corners aluminium edges and rubber feet to keep your effect pedals safe and secure in transit and storage. 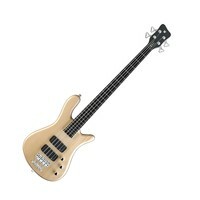 The Warwick Streamer Stage II is a Warwick classic. 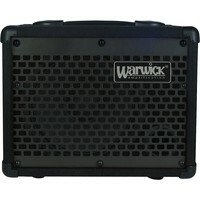 If you want the tightest lows and the brightest highs the Warwick Streamer is the bass for you. The body is made from a non-endangered African hardwood Afzelia which is incredibly dense and resonant. The neck is a 7-piece combination of Ovangkol and Afzelia that runs through the body and is fitted with a Wenge fingerboard with YinYang Inlays. 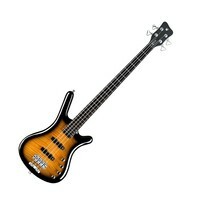 The Warwick Streamer Stage II is equipped with MEC active J/J pickups with MEC active 3-way electronics. The Warwick BC10 10W Bass Combo Amp is an ideal amp for first time bassists a great alternative for practice or for when space is limited. A three-way EQ and dynamic distortion limiter ensure the BC10 produces a consistent sound even at high levels. Dual inputs allow two instruments to be played together. An aux. input allows CD MP3 or other media players to be connected to play along with and a headphone output provides a more private listening experience. If you dont need to bend peoples eardrums but you want to be heard while playing with others the BC combo series will serve you with distinction. Either in the rehearsal room at home or on a small stage as a personal monitor or even at large venues when a wall of amp stacks seems a bit too much these combos will do the trick. 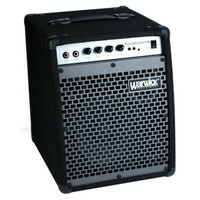 The BC20 Bass combo amp by Warwick is a 20 Watt bass combo with Passive and active inputs a 20 watt power amp and 8″ Bass driver. 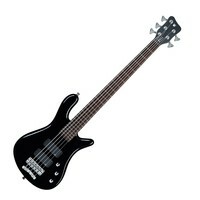 The Warwick Rockbass Streamer LX 4 String Bass Guitar features quality components at affordable prices making it great for both beginners and advanced bassists alike. Instruments in the Rockbass series provide optimum tone and intonation enabling each string to be adjustable in seconds with the unique break angle featured on the Warwick 2 piece bridge. 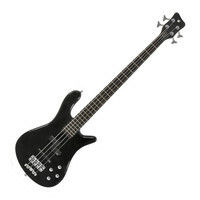 This eye catching bass guitar features a stylish black high gloss finish Carolena body bolt-on Maple neck with a 24 fret Rosewood fingerboard and chrome hardware for a sleek finish. 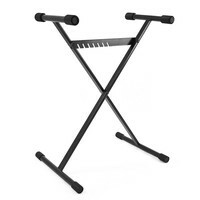 This item is an ex showroom display model. There are light scuffs and signs of use around the casing. The original boxing and manual are not included. Otherwise the unit operates as new.This is a great opportunity to buy a fully functioning product at a discounted price supplied with a one year warranty.Software bundled with the original new product may have been registered or may no longer be included. 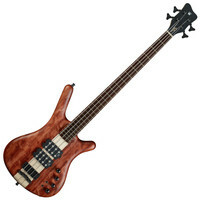 The Warwick Rockbass Corvette Bass possesses an alder body with a flamed maple veneer top maple neck with ekanga venner stripes rosewood fingerboard and active MEC J/J pickups. Offering a clear and versatile tone suitable for playing a wide range of music without the need for extreme adjustments the Rockbass Classic Corvette bass is perfect for aspiring bassists that enjoy playing a wide selection of music.